The guitar you use to create that magical music is a compactly made complex instrument. The small dot-like parts on it might not look very important but their absence or flaw might even force you to change your guitar. Contrary to what most people believe, it is essential and difficult to maintain a guitar to get the best output from it. Damages appear so slowly on guitars that users ignore them initially and end up with guitars producing irritating and unpleasant sounds. We have prepared this article totally on how to do guitar maintenance so that you can take good care of this sensitive musical masterpiece. This is the most basic function to maintain not only complex instruments but anything material! If you ignore cleaning your guitar at a regular time interval, you totally do not deserve it. It is also the easiest step in guitar maintenance. Here are some tips for it. Two important area for cleaning is the Body and the Strings. Use microfiber cloths to carefully clean the body especially when changing strings as it provides you access to every part of the body of the guitar. Use suitable cleaners for the material of your guitar. But, I would recommend not using them as they might permanently damage the material of the guitar if not suitable. What are guitars made of? Different kinds of Wood! And, what does wood react to? Moisture! 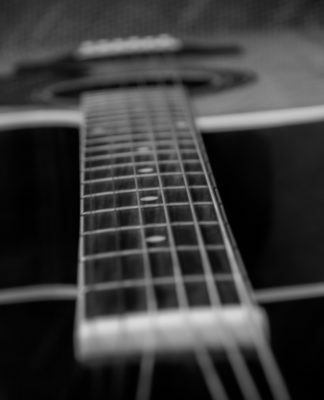 Your guitar is exposed to a fair amount of moisture every day. The damage caused by moisture appears before our eyes very slowly. Actually, before catching our eyes with wood cracks, it catches our ears with unpleasant tones of music. Humidity is an ever-present factor. Both high and low humidity damages a guitar. So, how do we protect our guitar from this dilemma? Get a humidifier!The humidifier locked in a closed case with your guitar can maintain ambient humidity in the case and keep your guitar good as new! Prepare to clean the fretboard by removing the strings first. Use Super Fine Steel Wool to clean nook and cranny of the fretboard. Steel wool is rough enough to clean the dirt completely but also has properties that do not harm the board. After cleaning, condition the fretboard by mineral oil and let it stay for some time. Finally, remove the excess oil with a paper towel. Remove old strings by gripping the neck of the guitar and unwinding the particular string with the other hand. Cut the loose string above the sound hole with a wire cutter. Remove the bridge pin at the ball end of the string. Firstly, put the ball end of the string on the bridge to insert new string. Then, insert the bridge pin until you hear it pop. Now you have your new strings on your guitar. Tune it before use! Assess the neck alignment by looking down the neck from the bridge end to the headstock. Uneven height means there is a problem. In case the neck is misaligned you have to adjust the truss rod by tweaking. You have to be very careful doing this as the rod is easy to break. You can also check by measuring the gap between the bottom of the string fretted and the top of the seventh fret. While doing this, keep the low E string fretted at the first and twelfth fret. It is best to get a professional to take care of your nut filings if there is any trouble with it. You can check if it is ok in the same way you checked the neck alignment. If the neck of your guitar is itself at fault, it is time for you to get into a dangerous game with the truss rod. You need to tighten or loosen the truss rod according to the position of your guitars neck relief. Be tuned to pitch as neck adjustments refer it. The bridge is easier to deal with than the nuts. Nevertheless, if there is a problem with the bridge, you have to be very accurate in your measuring the nut height and neck relief. Or else, it will cost you both time and fortune. Choose the perfect case made with the best material to keep your guitar in. Keep a humidifier inside the case to maintain humidity. Keep the case with the guitar in a dry place. This is something you have to continue doing from the beginning of your journey with your guitar. Treat your guitar like a pet or a child. Keep a keen eye and ears on it to instantly acknowledge any change that takes place. Keeping track of your guitar’s health will prevent serious damage through early treatment. It would be a great waste to lose a guitar worth a fortune due to lack of easy care. Value both your money and your instrument in guitar maintenance. 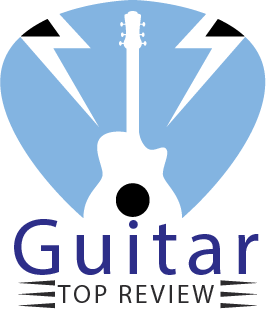 We have briefly covered every field that you need to look into for maintaining that wonderful guitar of yours. We sincerely hope, our article will help you live a good life with a healthy guitar! Next articleAcoustic Guitar String Guide: Strings Explained!